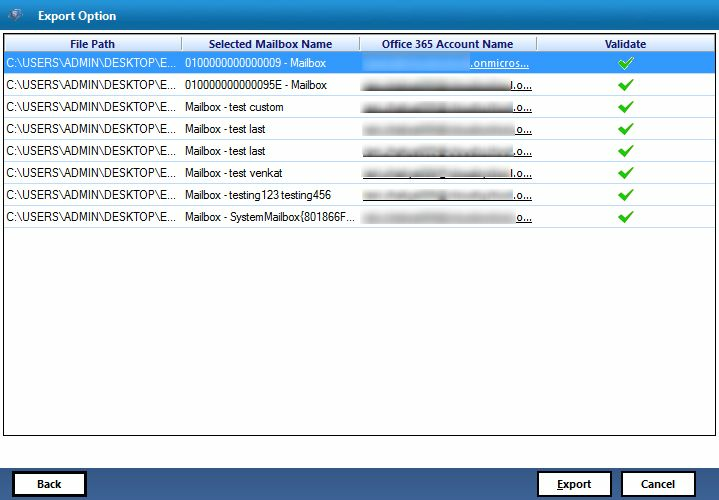 The software is capable to transfer corrupt exchange mailbox edb file to office 365 user account easily. 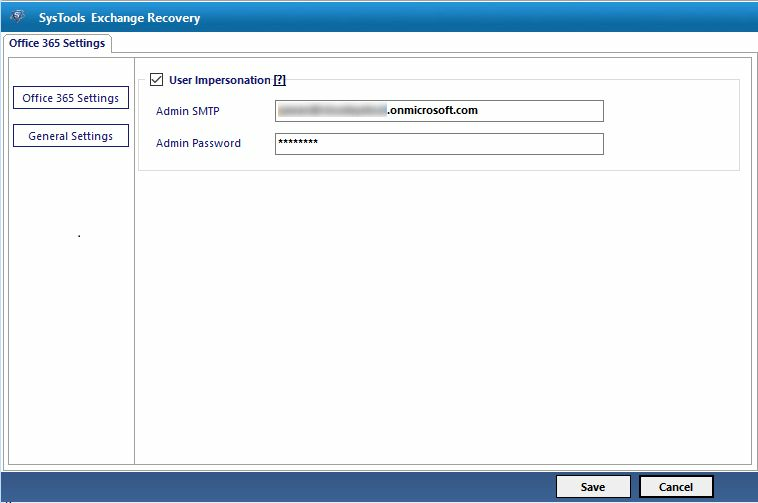 It first scan the damaged .edb file and then migrate edb to office 365 along with their entire attributes. 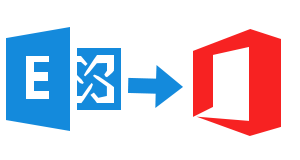 The edb to office 365 importer software support complete data migration from exchange server mailbox to office 365 account. 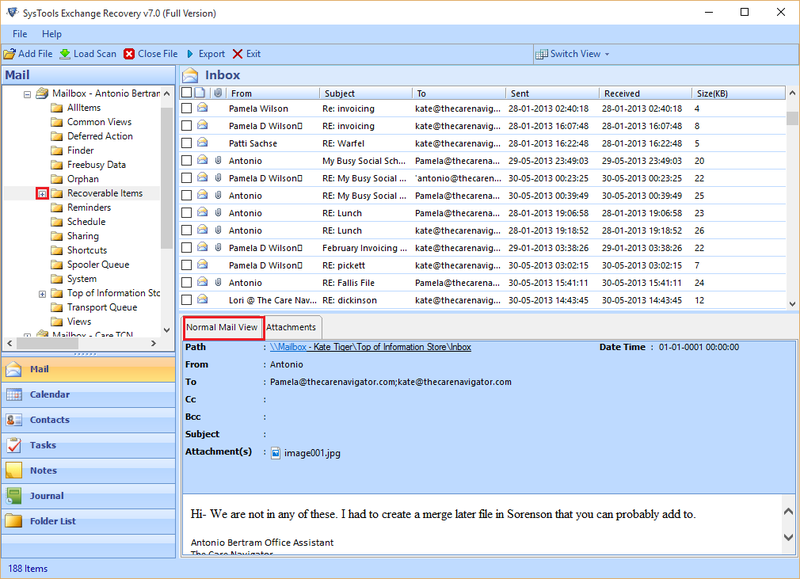 It can easily export entire data which includes emails, contacts, calenders, tasks, to do, attachments etc. The Exchange Mailbox to Office 365 Migration Software provides advanced search feature to find .edb file from server host machine hard drive. 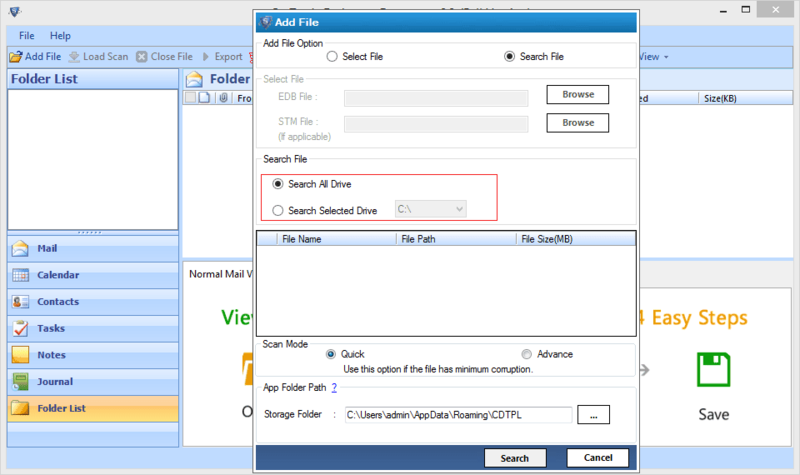 You can either search edb file from specific drive or complete drive. Once the scanning completed the exchange to office 365 importer tool will show a preview of entire edb file items in software preview pane. View listed data and select required one. Software will migrate only selected files to office 365 account. The EDB to Office 365 Migrator Tool provides an advance feature for Exchange administrator i.e. Impersonate. In this feature software enable user to add entire user account password by simply importing .csv file to the software. User can easily transfer selected emails from exchange server mailbox. 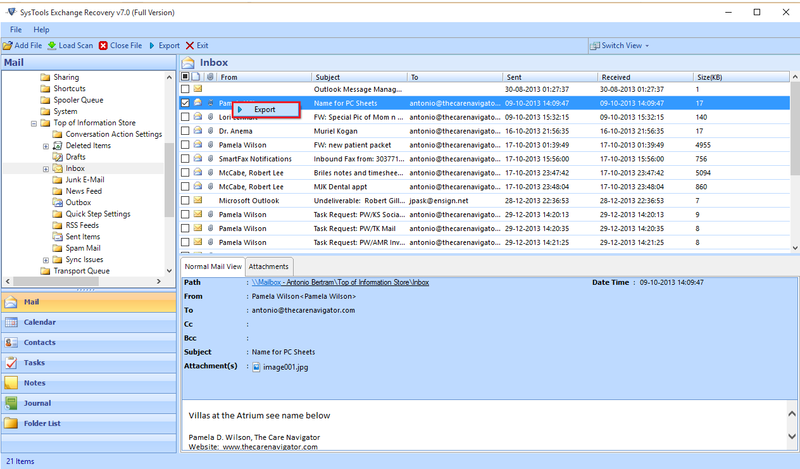 For this, the exchange to office 365 migrator tool provides date based filter. In this you need to provides data range and software will only migrate selected files. How can I Transfer Exchange EDB File to Office 365 User Account? 1. Launch the EDB to Office 365 Migration Tool. 2. 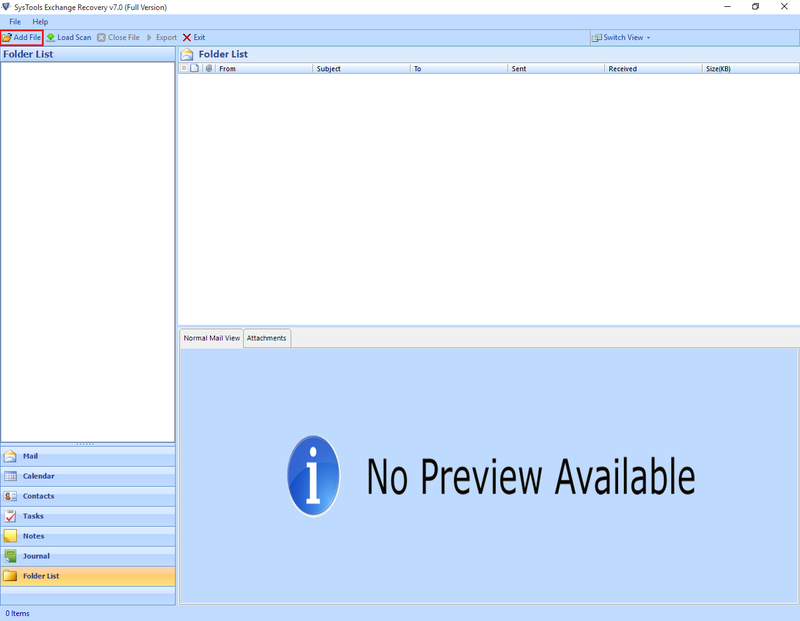 Browse Exchange Server EDB File. 3. Scan Corrupt and Damaged EDB Files. 4. Apply Filters, If Required. 5. Transfer Exchange Mailbox to Office 365. Can I Import Corrupt Exchange Mailbox to Office 365? Yes, The software provides Quick and Advance scan option. 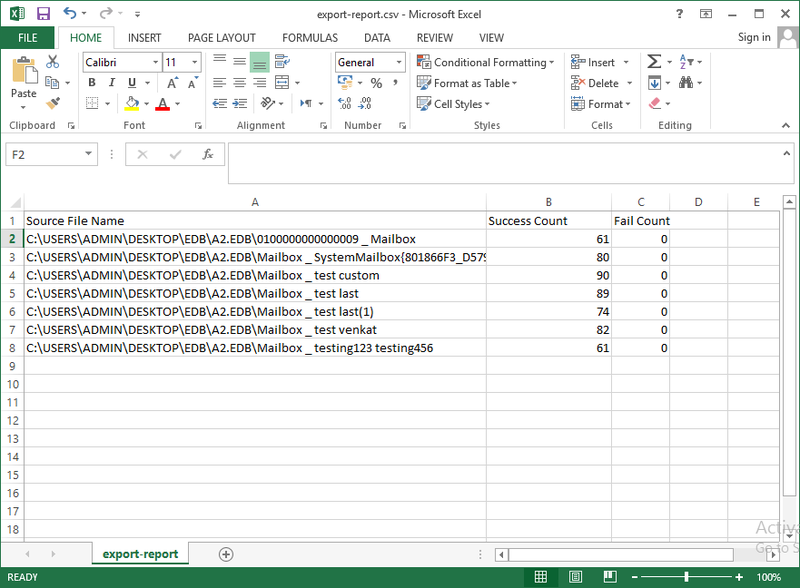 Fist scan corrupt edb file and then transfer to office 365 user account. Can I Migrate priv.edb file only to Office Account? Yes, The software enables you to migrate priv.edb or pub.edb file. Also you can import both files to office 365 user account. Can I Transfer EDB File Created by Exchange 2010 and Exchange 2013 Using this Tool? Yes, The edb to office 365 migration tool can move edb file created by any exchange version like Exchange 2013, 2010, 2007, 2003 etc. Does the Software Compatible with Mac OS? No, The utility is compatible with all windows version only. Like win 10, 8, 7, and vista etc. Software requires outlook must be installed on host system. 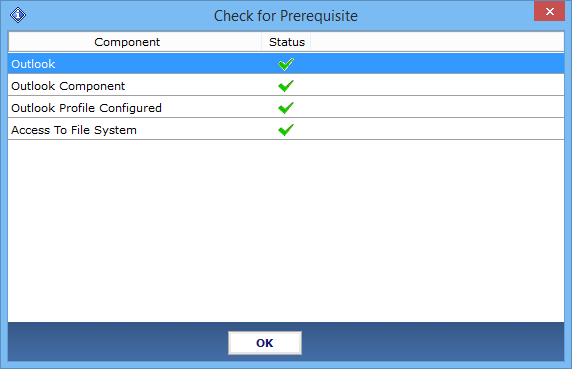 After installation it checks some prerequisite. 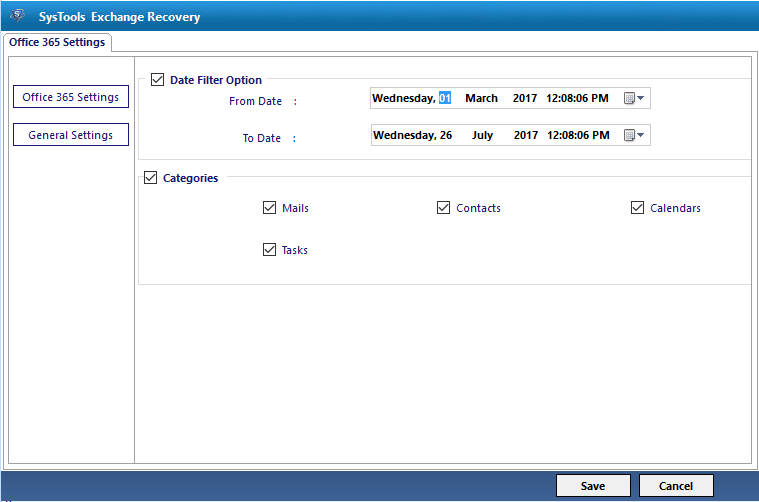 Click on Add File to load the single or multiple exchange mailbox files. 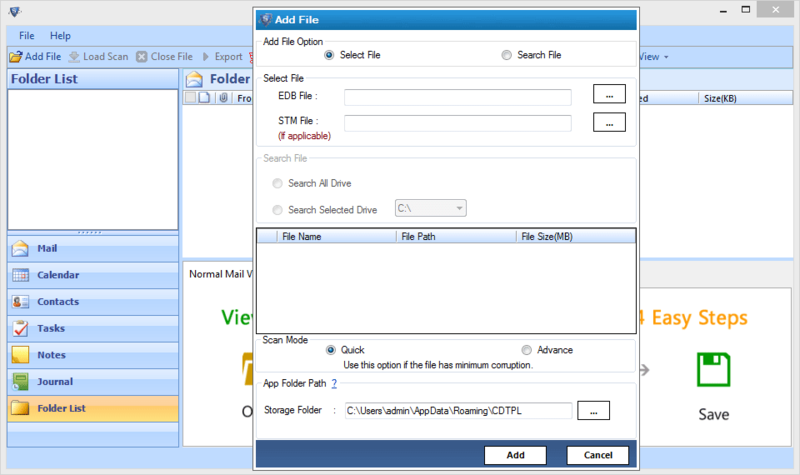 If you know the location of .edb file then select Select File radio button. Then hit on Brows button and locate the mailbox file. 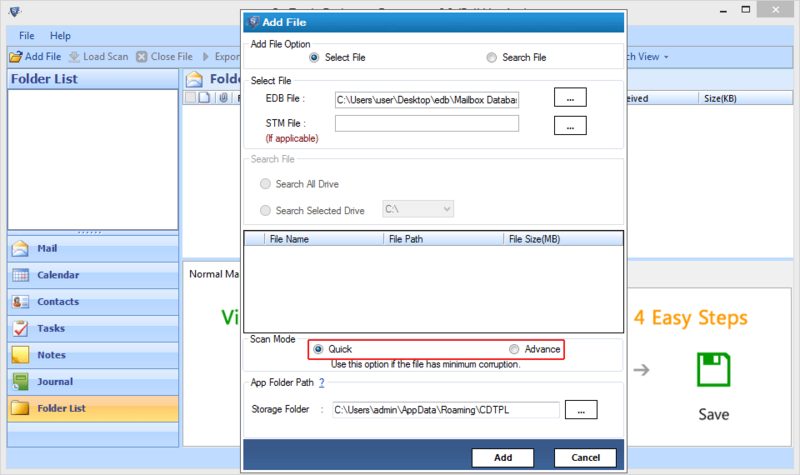 Note: - IF priv.stm and pub.stm file is not at the same location with edb file then brows it separately. If you do not know the location of .edb file then select Search File radio button. Then either select Search All Drive or Search Selected Drive. Now the software will search for .edb file and list. Select required mailbox and hit on Add button. Software provides two scanning mode select either Quick Scan or Advance Scan. 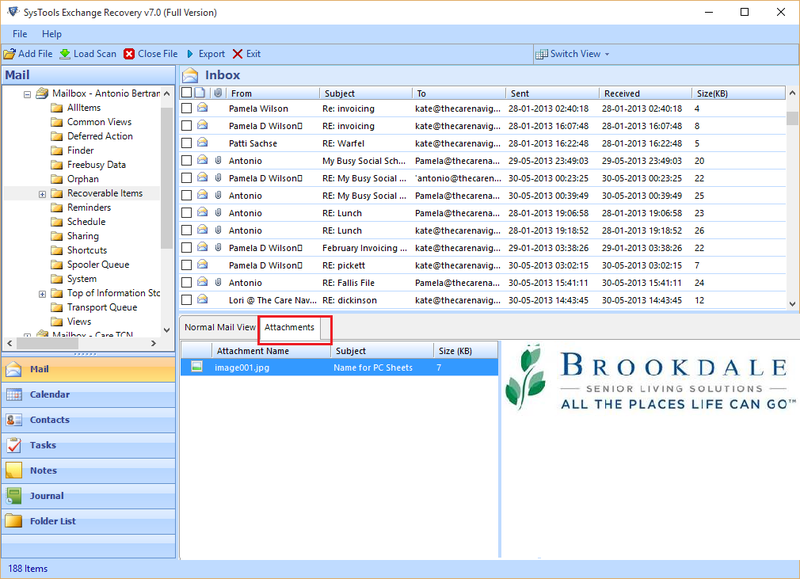 Quick Scan: - It scans exchange mailboxes and folders quickly and does not include highly corrupted files. Advance Scan: - Select this option if files or folder are highly corrupted. This process requires more time than quick scan. View Complete scanning process and wait till it completes. After completion of scanning process a pop up will be appear with successful message. Click on Yes button to save the scanned result. 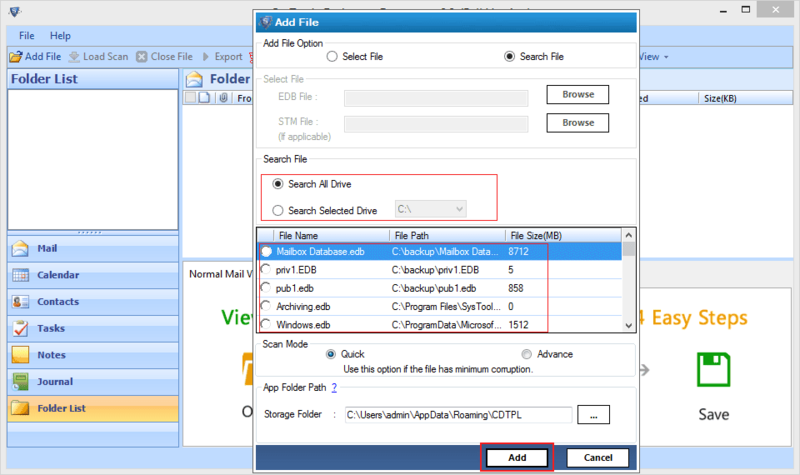 Software will list all folder in Folder List panel. Simply click on + sign to expand the folder items. Click on the specific folder and all emails will be displayed in the right panel. You can also view details on clicking on Normal Mail View tab. You can also preview details of attachments. Simply click on the Attachments tab. Select single or multiple emails and then right click on selected email then click on Export option. 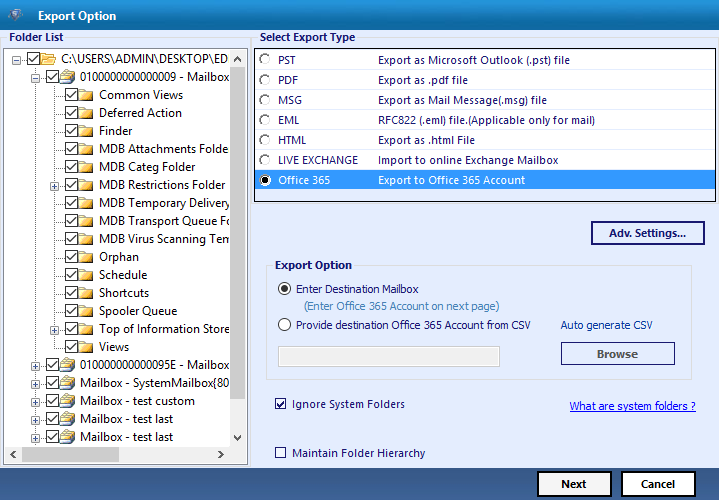 If you want to export complete mailbox then select mailbox and click on Export from software header menu. Now the edb to office 365 importer software will show you list of Export Types simply click on Office 365 radio button. You can also apply some advance feature, click on Adv. Setting button . Fist click on General Setting tab and then software will ask you to provide Admin SMTP and Admin Password. If you want to apply filter click on Office 365 Setting tab and then apply Date Filter and select Categories according to requirement. At the end click on Save. View successfully account setting saved message. Here the software provides you two option either Enter Destination Mailbox or Provide Destination Office 365 Account from CSV. You can also click on Auto Generate CSV option. Also you can check Ignore System Folder and Maintain Folder Hierarchy checkbox according to need. Here the Exchange to office 365 migration tool will show you account validate report. Click on Export. View Export Process Progress report. View Export process Completed Successfully message. 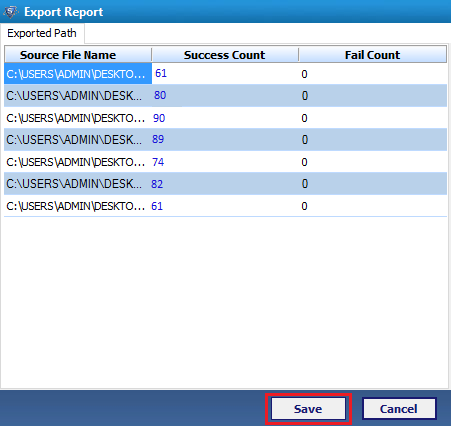 You can save the Export Report with Success and Fail Count. Simply Click on Save button and provide location to save. View the saved details in excel sheet. "I was having an EDB file, which was corrupted due to virus attack on my machine. Meanwhile, I was planning to move from Exchange to Office 365 account. Therefore, when my file got damaged I used this product to transfer corrupt EDB mailboxes in Exchange online environment. The entire process was smooth just because of this product." "The trial version of this product forced me to utilize this application for EDB to Office 365 migration. It supports infinite numbers of mailboxes of the Exchange server file and move them to O365 account. What the best part is that it does not require any execution of PoweShell commands for working."